If you’re looking for a reliable company to provide deck construction services at your home in Columbia, Illinois, or a surrounding area, turn to Chesley Fence & Deck. No other company in the region has earned the same level as trust that we have. 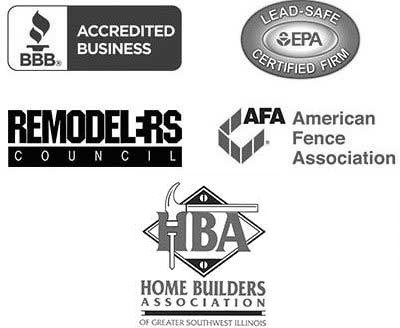 Since 1967, we have earned the satisfaction of countless homeowners and we maintain an A+ rating with the Better Business Bureau. 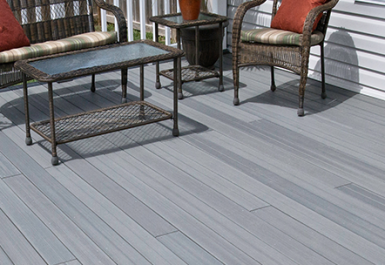 As a premier deck construction company, we even offer several different types of composite decking, allowing our customers to choose the option that best suits their budgets and aesthetic preferences. Typically we recommend our Tamko EverGrain® Envision® PVC coated composite. Not only does this product simulate the natural beauty of real wood, but it is backed by a 20-year warranty that covers fading, staining, and deterioration. If you’re interested in learning more about the benefits of turning to Chesley Fence & Deck for deck construction services for your home in Columbia, IL, contact us today.